A cod is a cod is a cod is a cod! There are so many varieties, Gold Spot, Barramundi, Birdwire, Black, Blue Spot, Chinaman, Coral, Flowery, Greasy, Footballer, Maori, Potato, Sleepy, etc, etc, and I don’t intend to identify and describe them here. And then we have the Groupers! 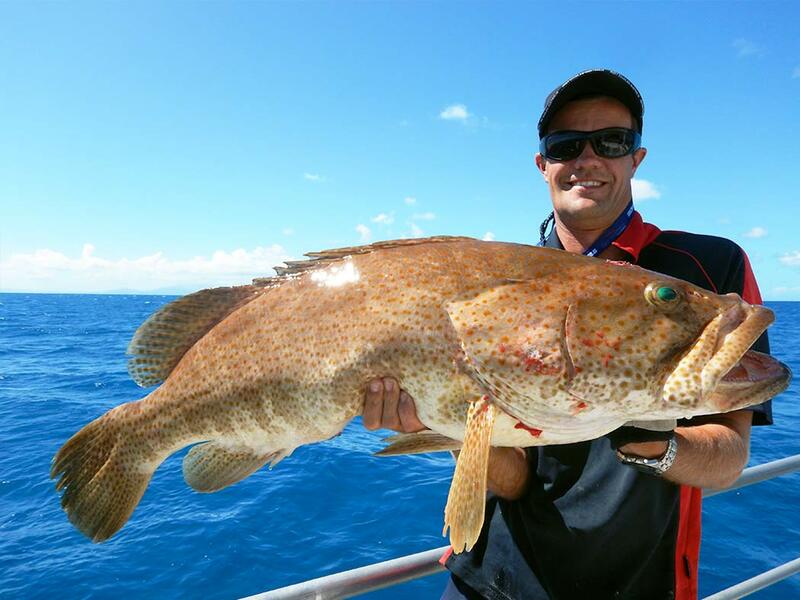 Many of them are quite common captures on the Great Barrier Reef, particularly the Estuary Cod. Humans find a great affection for these seemingly gentle giants with game boat skippers and dive boat operators making an event of hand feeding their ‘pet’ while on charter. Their huge mouth will engulf substantial offerings, and many a fighting fish has disappeared down the black hole mouth of a following cod. Special dive sites have been set up to protect various species where humans can interact with these magnificent creatures.